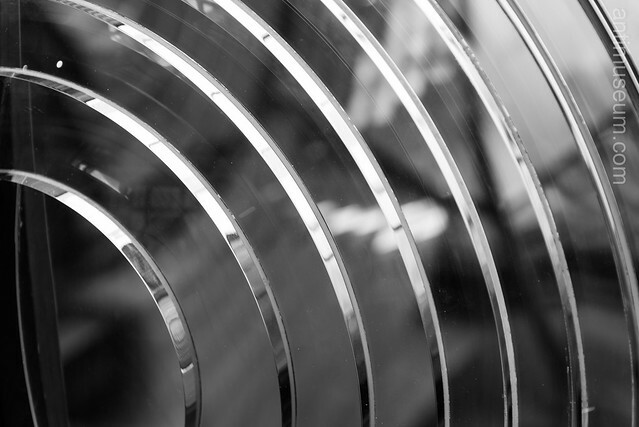 The whole Fresnel lens complete with iridescence. 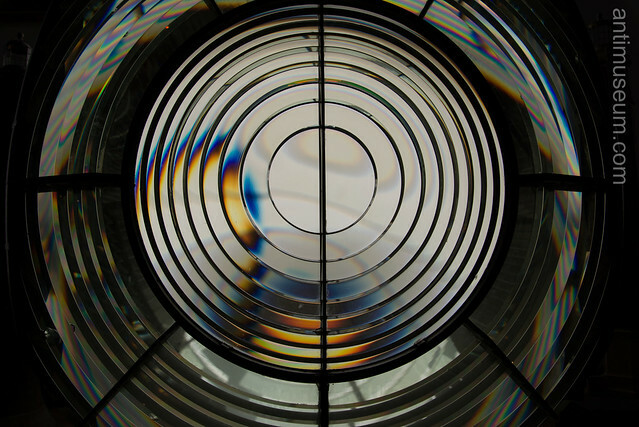 Detailed view of the Fresnel lens (pronounce “FrAYneLLE”), named after Augustin Fresnel (strangely re-baptised on the English version of Wikipedia), who is said to have invented the first lighthouse lens in 1823, 190 years ago to the day. National maritime museum, Paris, 2013. Helps for landing on an aircraft carrier too. Thanks Jason, you are right. I didn’t know that (http://en.wikipedia.org/wiki/Optical_landing_system) thanks for your comment and visit and like. Beautiful images. I love lighthouses and I was drawn to your post. Thank you so much for stopping by and commenting. Most appreciated.